Heraclitus famously said that one never steps into the same river twice. What he meant was that one never steps into the same water; the river is the same, even though its substance is always changing. And so a conspiracy can be the same even if all the acts committed pursuant to it are different, because it is the terms of the agreement rather than the details of implementation that determine its boundaries. Federal prosecutors love conspiracies more than Oliver Stone. Prove an agreement between A and B to further an illegal end, and you can bring in all sorts of stuff against A that she didn’t actually do (B did). And you only have to prove a constructive agreement – not an actual one. The Seventh Circuit, though, in an opinion by Judge Posner in United States v. Schiro, discussed how the Double Jeopardy Clause can throw a curveball into a conspiracy prosecution. Sadly, though, the Double Jeopardy issue did not carry the day for those charged with the federal offense. Double jeopardy can take two forms. One is prosecution for a crime the elements of which overlap the elements of a crime involving the same facts for which the defendant had been prosecuted previously. And in such a case, a case “where the same act or transaction constitutes a violation of two distinct statutory provisions, the test to be applied to determine whether there are two offenses or only one, is whether each provision requires proof of a fact which the other does not.” For example, there would be only one offense for purposes of assessing double jeopardy if the second prosecution was for a lesser included offense of the crime for which the defendant had been prosecuted the first time. The other form of double jeopardy is prosecuting a person a second or subsequent time for the same offense, and that can be a difficult determination to make when the offense is conspiracy. But here, two men were accused of a RICO conspiracy who were previously tried for a RICO conspiracy with each other. So, was the second RICO conspiracy the same conspiracy as the first one, or a separate conspiracy? A worker at Ford Motor Company’s River Rouge Complex is an employee of Ford Motor Company. His agreement to work on the River Rouge assembly line contributes both to the plant’s output and to the output of the company as a whole, of which River Rouge’s output is simply a part. If Ford produced sawed-off shotguns rather than automobiles, the worker could be prosecuted for conspiring with employees of Ford or employees at the River Rouge plant to produce an illegal weapon, but he could not be prosecuted for two separate conspiracies, because the members and the objectives and the activities of the two conspiracies (conspiracy with employees of Ford, conspiracy with employees at River Rouge) would be identical. But if after producing sawed-off shotguns in the River Rouge plant an employee who had worked there is promoted into the Ford executive suite in Detroit as a regional manager and while there prepares financial reports designed to conceal from the government Ford’s income from the production of illegal weaponry at River Rouge and other Ford plants, he has joined a separate though overlapping conspiracy. In Mr. Schiro’s case, the men were charged with being leaders of a Chicago street gang. There were two levels of hierarchy – street crews and “the Outfit”. “The Outfit” ran the street crews, but also directed certain financial decisions and commissioned and carried out the murder of potential informants. Thus, every street crew member was a member of “the Outfit” but not every member of “the Outfit” was a member of a particular street crew. 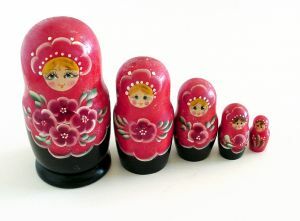 If as in our first Ford hypothetical you do street crew business only, you are not working for two different enterprises even though the street crew is a branch; the enterprises are no more different than two nested Russian dolls are. But if you murder, which is Outfit business because it is too sensitive to be left to the street crews, you are working for the Outfit in a respect that is different from your street crew work; you are demonstrating that your agreement to assist the Outfit is broader than and distinct from your agreement to assist your street crew, just as conspiring to assemble shotguns at a plant is different from conspiring to conceal the assembly of shotguns at numerous plants. Alas, the government’s allegations in the recent case and the prior one were separate enough that the two alleged conspiracies were, indeed, separate agreements. And so the double jeopardy challenge failed. Calabrese and Marcello had each already been convicted and imprisoned for their part in the street crews that lie at the heart of the Outfit’s Chicago operation. See United States v. Zizzo, 120 F.3d 1338 (7th Cir. 1997) (Marcello), and ante at 3. Those prosecutions coveredthe period from 1978 to 1992 for Calabrese and from 1979 to 1990 for Marcello. The current prosecution entirely subsumes the span of those conspiracies. I therefore dissent, on that basis only, from the decision to affirm those two convictions. We must recognize, as have our sister circuits, that a crime family in “a lower level of authority within the hierarchy of organized crime” is still a component of the same crime family. United States v. Langella, 804 F.2d 185, 189 (2d Cir. 1986); see also United States v. Ciancaglini, 858 F.2d 923 (3d Cir. 1988) (concluding that two Philadelphia-based crime families were part of the same enterprise). If the Street Crews were “self-sufficient enterprises that function without oversight” from the Outfit, we would have a different case. Langella, 804 F.2d at 189. But as the majority concedes, they are not. The Street Crews were the mob’s hands, the Outfit its head. There is no way to divide the two. Alas. The sweet sorrow of a well-reasoned dissent. The defendants were ordered to pay restitution in conformity with the Mandatory Victims Restitution Act of 1996, 18 U.S.C. § 3663A. The total amount, all of which was for the lost future earnings of 14 of the 18 murder victims whom the defendants were found to have conspired to kill, exceeded $4 million. All but 1 percent of this amount, $44,225.73, was allocated jointly and severally to the four defendants, see United States v. Dokich, 614 F.3d 314, 318 (7th Cir. 2010), other than [one defendant], who was assessed only the 1 percent because he had joined the conspiracy late, in 1999. As all the murders occurred before then, it was improper to assess him any share of the restitution ordered. United States v. Squirrel, 588 F.3d 207, 215-16 (4th Cir. 2009). Perhaps not the most impressive victory.